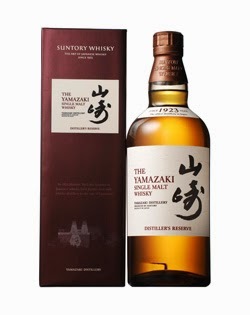 The Distiller's Reserve is a new single malt from the Japanese distillery of Hakushu. 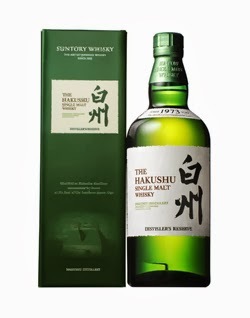 The whisky has been constructed to showcase the qualities and characteristics of Hakushu's young lightly peated single malts. These have been accentuated by blending with older heavily peated malt and aged (all of which are 18+ years old) American oak matured whisky. All the casks used have been hand selected by Shinji Fukuyo, who is only the fourth Chief Blender in owner Suntory's 90 year history. The Sunray and Tailfire are two new expressions that will be joining the Singleton of Dufftown range. The names draw inspiration from the brand's logo of a leaping salmon - sunray and tailfire are types of artificial fly used in salmon fishing. Both new single malts will sit alongside the 12, 15 and 18 years old whiskies that currently make up the core range and have just been released in selected European markets of Belgium, Denmark, France, Holland, Switzerland and the UK. Sunray has also been released in Germany, with Tailfire following in the Summer. 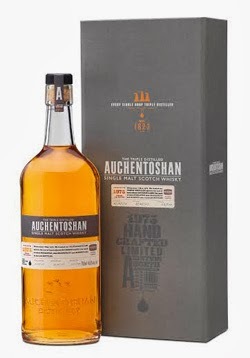 This whisky is the latest in the award winning Vintage series from Auchentoshan. The series showcases exceptional old casks that have been maturing at the distillery since the 1970s, which is widely regarded as a time when some of the best single malts were produced there. The 1975 Vintage (2013 Edition) has been maturing in ex-bourbon American oak casks, which were hand selected by Auchentoshan's Master Blender Rachel Barrie, and is exclusive to the travel retail sector.